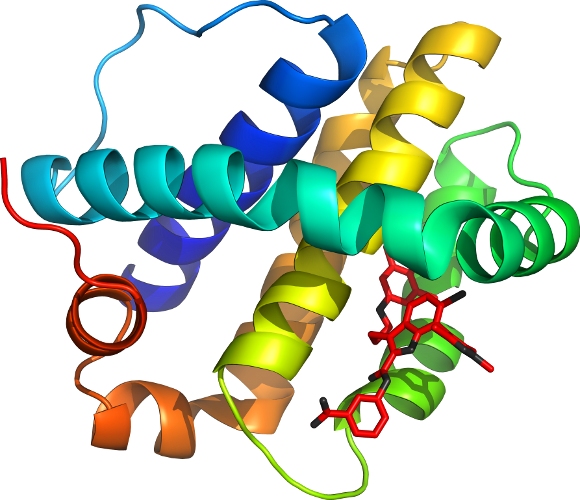 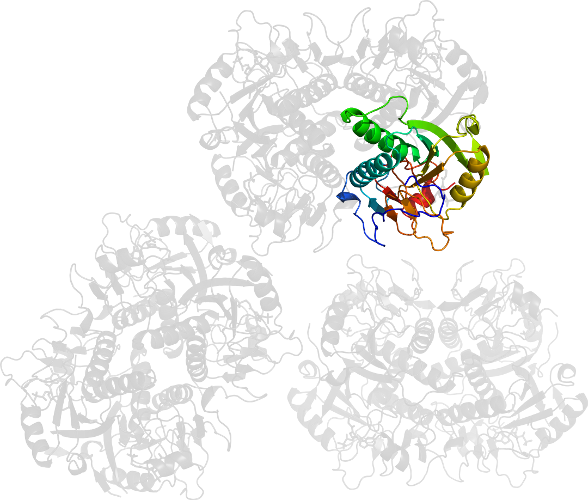 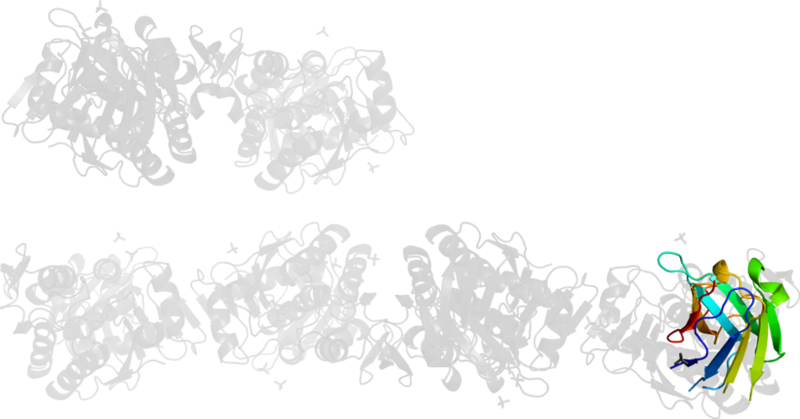 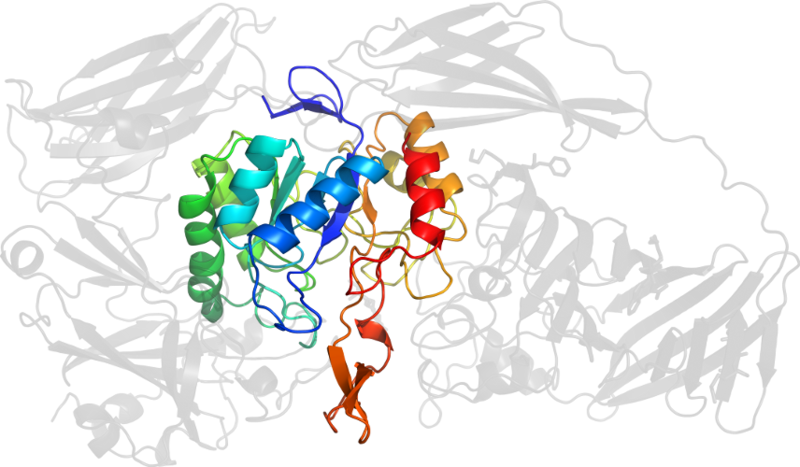 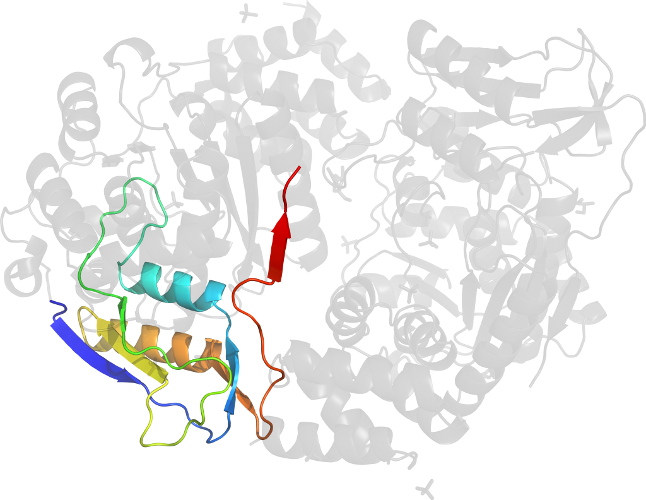 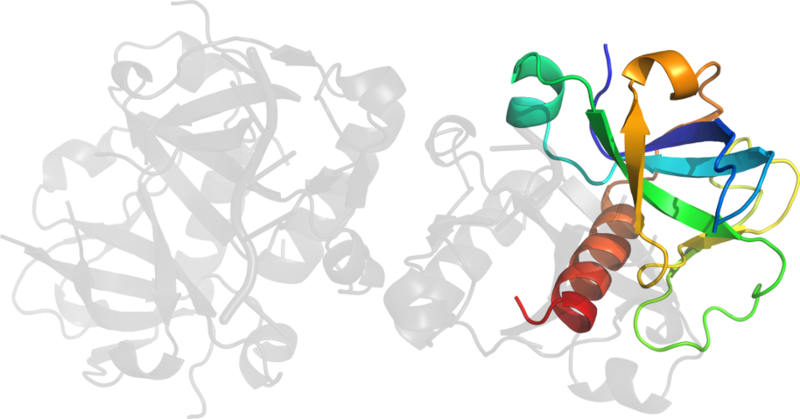 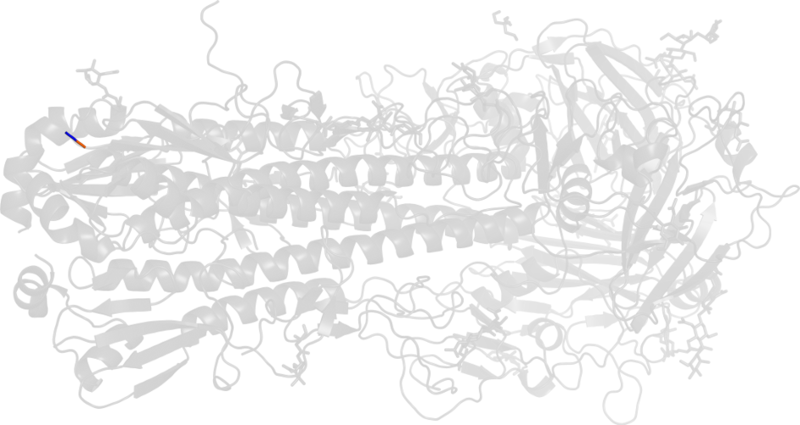 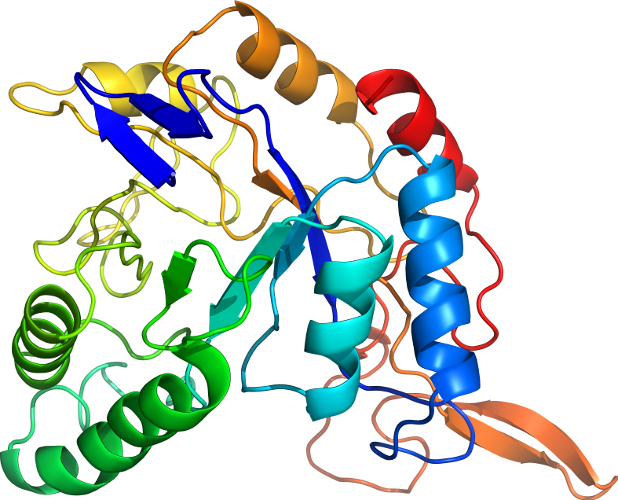 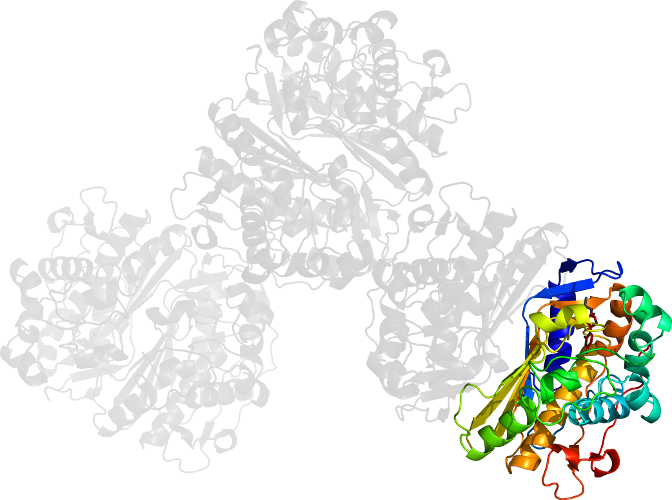 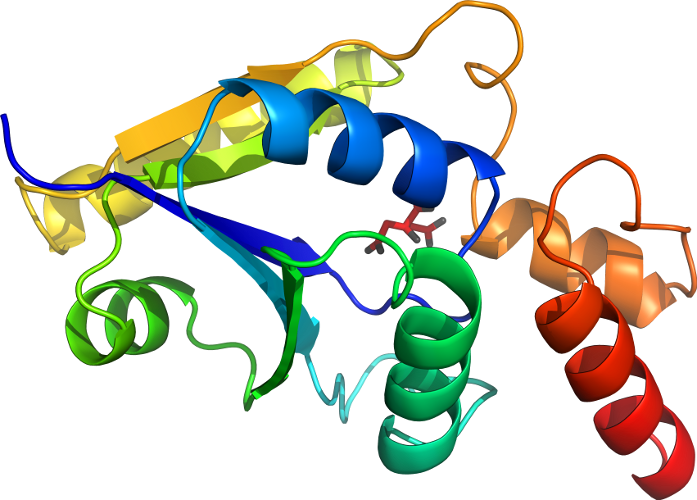 PDB Description: e. coli (lacz) beta-galactosidase in complex with 2-f-lactose. 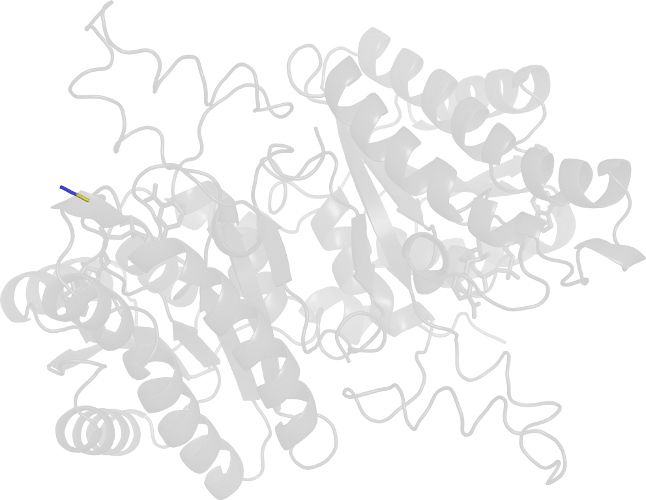 chains i-p, see remark 400. 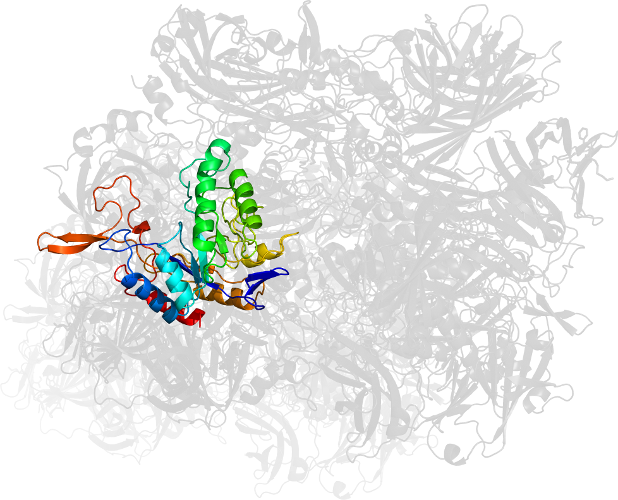 Click to download the PDB-style file with coordinates for d1jyzm5.